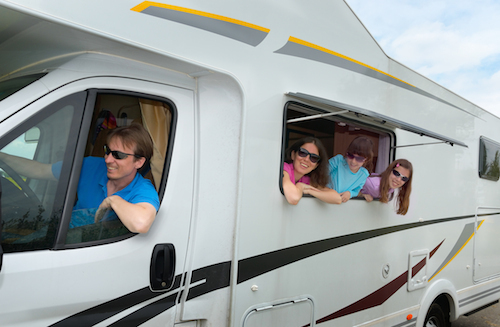 Recreational vehicles require all the standard maintenance of your car, truck or SUV plus a whole lot more (if you had your RV for more than a few months then you probably learned this this hard way). After all, a RV is more than just a vehicle. It can be an office, kitchen,vacation cottage and for many it is the place they call home. With the average cost of a new RV sneaking up on the six figure mark, they often cost more than many homes. Preventative care and maintenance can keep costly repairs to a minimum. 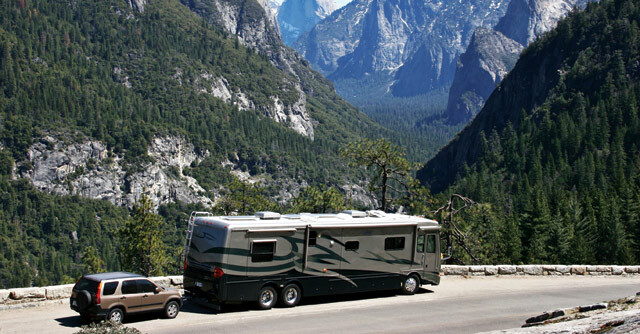 Below we will share 5 RV maintenance tips and reminders to protect the hefty investment you made in your RV. When it comes to RV maintenance tips, RV roofs tend to get alot of attention as they are especially susceptible to sun and environmental damage, which can create problems that often go unseen because we simply don’t get up there regularly. Out of sight, out of mind. But that philosophy can cost you big time. Replacing and repairing a RV roof can easily cost into the thousands. One of the best things you can do is to keep your vehicle stored under a RV carport ortraditional RV cover. For reference, you can see several great examples of the steel RV carporthere . Steel RV covers can be installed on your property and customized to meet the size of your specific vehicle. They often come with warranties of up to 40 years, providing your RV’s roof a lifetime of protection. If you’re a full timer than the best you can do is have your RV roof cleanedon a regular basis. Hopefully you can find a loving family member or friend to do it for you as it can be daunting. The good news is that this will also cut down on the amount of the hated “black streaks” that appear on the sides of your RV. Letting your generator sit unused for too long could cause you to replace it years before you should. Gasoline has a shelf life of about 30 days. After that time, it can start to break down and damage your generator’s internal components. You have to “keep it flowing” for lack of a better phrase. 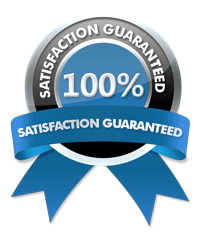 To do so, it’s recommended that you run your generator two hours a month around 50% load. This will keep it primed and ready. Failure to do so can cause your carburetor to varnish, preventing fuel from effectively powering the generator. There’s no reasonable way to clean it, so you may end up having to replace it, which needless to say will be costly. 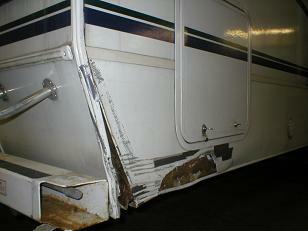 A common problem with RV’s is moisture leaking into the vehicle through faulty weather strippingand seals. Seals naturally degrade over time – and some brands are notorious for not using great seals to begin with. When seals start to break down, they allow water to seep in, damaging surfaces and promoting mold. Check seals around windows and doors every three months to ensure a snug fit and no deterioration. Doesn’t hurt to check the roof seals every six months or so as well. Keep an eye out for any cracks, loose pieces, water stains, etc. Even small cracks can allow water to get it. Some RV’ers will periodically have items removed and resealed just to be sure no water finds its way in. Not all RV maintenance tips need to ask for your hard earned dollars. During times when your RV sits unused over the summer, the temperature inside can exceed 130 degrees depending on your location. That kind of heat causes even the toughest materials to break down and fail over time. Wall coverings, seals, seams, flooring, among other items will slowly deteriorate and cause sooner than needed repair headaches. Keeping your RV vents open promotes air flow through the vehicle and keeps the temperature down. Make sure your exterior vents are covered, however, to avoid rain water making its way inside. If you can find a covered area to store your RV when not in use, it will mean wonders for the lifespan of your RV. The sound of a squeaky pop-out can be like nails on a chalkboard. But that squeak is more than just a nuisance, it’s a sign that your slide-out rails need some tender loving care. Letting your slide-out rails go without proper lubrication can cause deterioration due to rust and corrosion. Experts recommend that you should apply lubricant to your rails once or twice a year, depending on how often you use your RV. This should be enough to keep your slide-out squeak-free all season long. You can find a can of lubricant spray, specifically designed for slide-outs, for around $15. Which is cheaper than replacing any worn out slide outs!